70s Set A fantastic set of retro.. Animal Set This huge value set has everything you'll need to make all your pet cards. 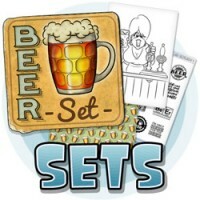 That..
BATH TIME SET A fantastic set of digis and papers ..
BEER SET A huge value set of beer relate..
"the Bots" digital stamps set Set contains one uncoloured and 5 coloured robot digis with an exclus..
A massive festive bundle of Christmas digis, sentiments and backing papers. Everything you n..
DAD SET Everything you need for the perfect Fathers day..
"Deep Sea Doug" Set Bargain set containing Deep Sea Doug Be Mine Doug Mine Mine (colour) Mines bac..
Fantasy Set A huge set of fantasy digis ..
Halloween Bargain Set This massive bundle has everything you'll ever need to make the ..
fantastic saving on the full range of kitty killers in one set. £28 worth of digis for just ..
A MASSIVE value music themed set of 16 digis and 2 sets of backing papers that's £30 worth of digis ..
SCI FI SET A huge value set of science fi..
SEASIDE SET Seaside Sidney and everything you'd need to make fantastic seaside cards. the pack co..
"Tea Time Set " Fantastic value, 9 digis, 5 backing papers and 1 tea themed sentiment sheet &..
TECH SET This massive bundle has everything you'll ever need to..
Tiki Time Set A huge value set of Tiki themed digi stamps and matching backing papers to mkae the pe..